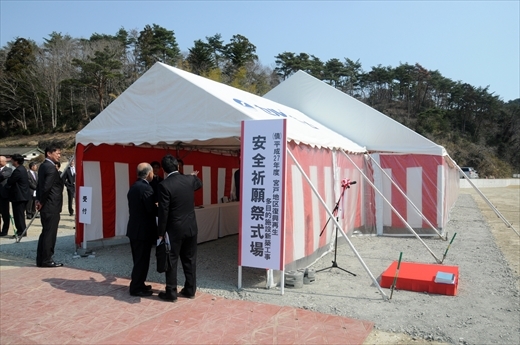 JASFA > News > Miyato District Reconstruction multi-purpose facility new construction　Groundbreaking ceremony on March 30. Miyato District Reconstruction multi-purpose facility new construction　Groundbreaking ceremony on March 30. Bringing together the technology and the wisdom of JASFA support the region. ◆Have been articles published in Kahoku Simpo morning paper on March 31, 2016. 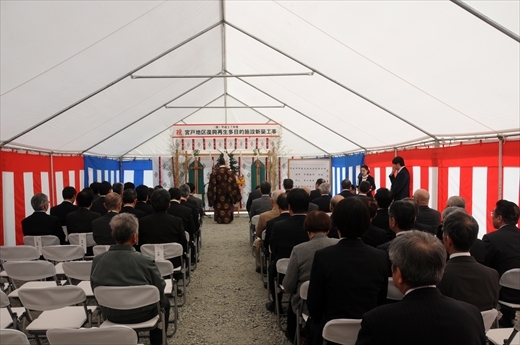 Safety pray ceremony of Miyato district reconstruction multi-purpose facility. 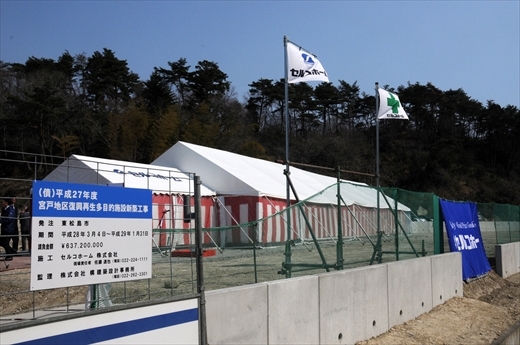 Scene of Miyato district reconstruction multi-purpose facility. 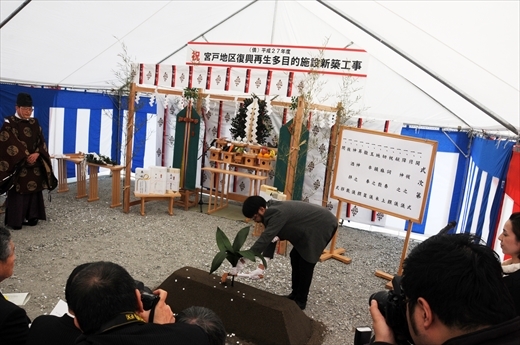 Miyato district reconstruction multi-purpose facility of new construction safety pray ceremony. Ground-breaking ceremony　Design company：Koken-sekei, Representative Director Mr. Hayakawa. 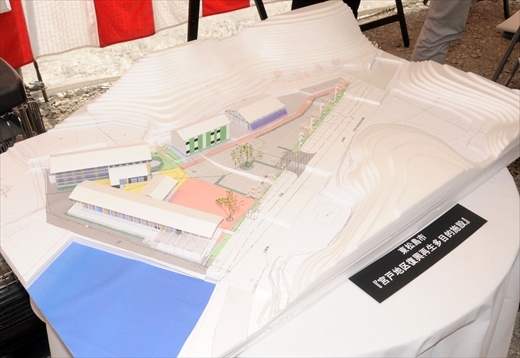 Completion model of Miyato district reconstruction multi-purpose facility.